Silicon Photodiode packaged in hermetically sealed glass window cap. To operate your Solarmeter, aim the sensor window located on the top panel of the meter directly at a light source. Press and hold the push-button switch on the face of the meter. For best results take note of the distance the reading was taken from the source in order to ensure repeatable results. • Wear tinted eyewear or sunglasses when checking intense sunlight. • Aim sensor directly at sun to see maximum solar irradiance as a reference. 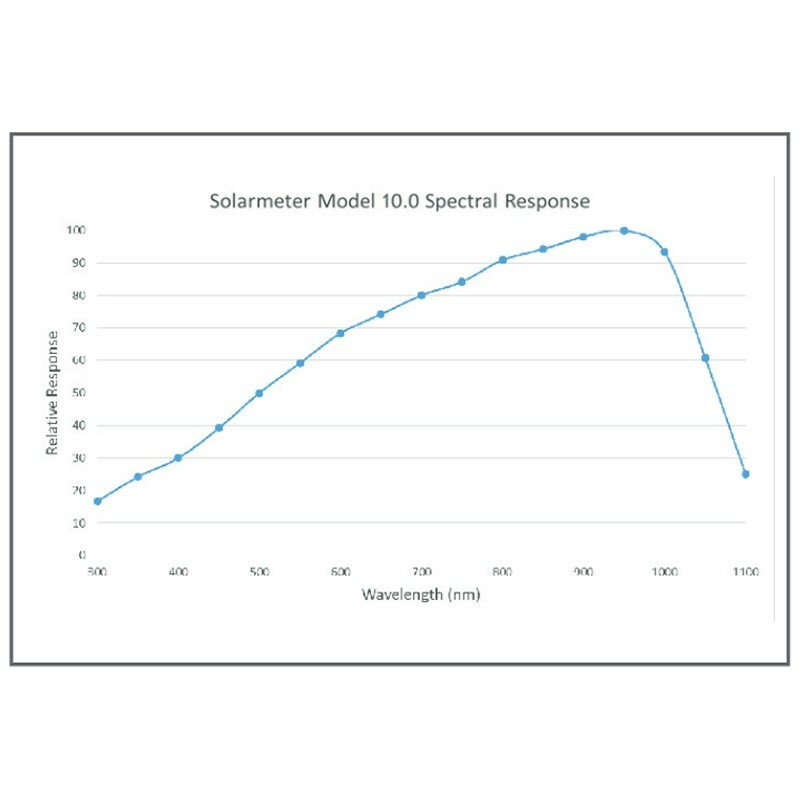 • Aim sensor in same direction as PV panel to see irradiance striking array. • Re-orient PV panel direction if desired for best average position. • Maximum solar noon direction will vary throughout the year. It is best to do this when sun is directly shining on module near noon. Angles 35° and greater from the sun will increase the % error the meter experiences for these kinds of readings. A small wiring and component loss of ~1% reduces PV output down to ~1218 W.
The above 1218 Watts value is an “instantaneous” number. 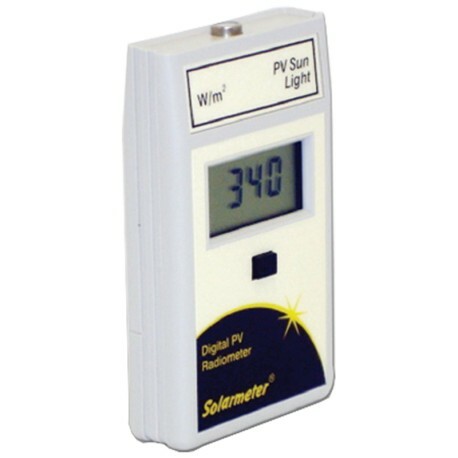 Energy is measured in Watt-hours (Wh) or kilowatt hours (kWh) so if the solar irradiance remained constant for an hour near noon, the energy produced would be 1218 Wh. To estimate power over the entire day take readings every hour and apply the calculations above. Then add up each hour’s value x number of hours for daily Watt-hours. Expect the value to increase during the summer and decrease during the winter. Accuracy : ±10% to WRR Ref.